No one in the Democratic leadership suggested that Burris would actually be seated when he arrives at the Capitol on Tuesday but the rhetoric was clearly softening. Under pressure from African-Americans in the House, Democratic leaders appear to be backing down from their vow to bar Roland Burris from the Senate under any circumstance. No one in the Democratic leadership suggested Monday that Burris would actually be seated when he arrives at the Capitol on Tuesday — or at any point thereafter — but the rhetoric was clearly softening as a potential showdown at the Capitol loomed, and Democrats were eager to get past the distraction. Burris won’t be allowed to make his case until Wednesday, when he’s scheduled to meet with Durbin and Reid. Durbin said that Capitol Police won’t prevent Burris from entering the Capitol on Tuesday but that he “doesn’t have the legal right” to participate in Tuesday’s swearing-in ceremony because Secretary of the Senate Nancy Erickson has deemed his credentials incomplete without a signature from the Illinois secretary of state. Burris has asked the Illinois Supreme Court to compel the secretary of state to sign his appointment papers. Durbin said he’d let Burris watch the ceremony from his office next to the Senate chamber but not from the Senate floor, a privilege granted to sitting senators, senators-elect, aides and invited guests. Senate Democrats face pressure to seat Burris from two directions. With Obama gone, Burris would be the only African-American in the Senate, and some members of the Congressional Black Caucus are pushing for him to be seated. 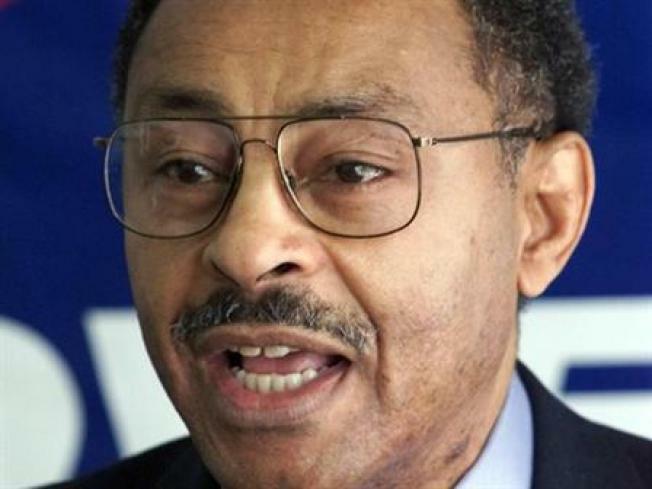 Another CBC member, Rep. Donald Payne (D-N.J.), has been lobbying on behalf of Burris, pressuring Reid and his own state’s Democratic senators, Frank R. Lautenberg and Robert Menendez, to seat him. Durbin said race wasn’t an issue. The same argument was made Monday by Arizona Sen. Jon Kyl, the Senate Republican whip. Republicans — relishing the thought of sticking Democrats with the Blagojevich taint — suggest that it would be hypocritical if Democrats were to welcome Al Franken, whose victory in Minnesota remains subject to legal challenges from Republican Sen. Norm Coleman, while denying a seat to Burris. Daniel Libit contributed to this story.